I'm on a plane as I type this, flying from Atlanta to Salt Lake City. 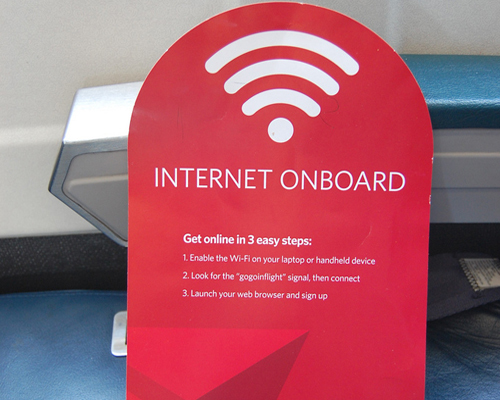 Delta offers reliable in-flight wi-fi Internet service on its North American fleet, so it's easy to get online. I've got my Squarespace blog editor, a browser (looking at prices in EVE Central), EFT, and the EVE Online client all up on my laptop. I'm running some private courier contracts in EVE, using my shiny new Charon freighter - four contracts and 48 jumps to go. It's routine work, but it's easy money, and not much effort. I just listen for the new (ultra-cool) gate jump effect sounds on my headset, switch over to the EVE client, and set course to jump the next gate - alt-tabbing back and forth to this blog post as I go. That's right - I'm flying 1,584 miles in Real Life at 34,000 feet across the country, while flying my Internet spaceship light-years across the New Eden cluster - while writing about it on my world-wide blog - all at the same time. This is one of the reasons I love EVE Online. One contract done - 36 jumps to go. I have an interesting job. I provide consulting to global companies to improve their sales results. I've been doing this for a long time, and it's been a rewarding career. I work with some big companies - really big, actually - and they are located everywhere on the planet. Three days ago, I flew from home in Atlanta to Brussels, returned home yesterday, and now I'm flying to Salt Lake City. Next week, I'm going to San Antonio, then back through Atlanta to New York, then back home again. The week following: ATL-Denver-New York-Charlotte. After that: Toronto-San Francisco-Charlotte. You get the idea. I fly around a lot. It's difficult to have a hobby when you aren't in once place for more than a day or two. A lady friend once suggested knitting as a pastime to me, "because you can take it with you". But the TSA takes a dim view of big knitting needles, especially when carried by a 54-year-old American male. Yeah, for some reason, they find that a bit suspicious. So much for that brilliant idea. Golf? I don't have enough spare time on location to find a course. And who wants to haul around a bunch of heavy golf clubs all the time? Truly, no one sane. But when I discovered EVE Online four years ago, it became the perfect avocation. I can play it anytime and anywhere I can get a decent Internet connection. Two contracts delivered - 22 jumps to go. From China With Love - NOT! The only place in the world that I have not been able to connect reliably to EVE Online was when I was in Beijing last year. It's technically possible to access the CCP Tranquility server for an EVE Online fix, but the performance is uneven, at best. China is an interesting place. It's a land of great opportunity, and all of my clients have a presence there. But try to access your usual English-language websites from your hotel room in China, and you soon realize that the rules are a little different there. I had to give up on EVE Online for a week. I missed it. A lot. Three contracts completed - 12 jumps to go. I used to try to hide that I was playing a spaceship game on my laptop when on a plane. I didn't think people would really understand. When you're surrounded by some very conservative-looking power-tied executives sipping their red wine in first class, you tend to worry about what image you are projecting. And then, a couple years ago, I get upgraded on a flight from New York to San Francisco. This is especially nice since it's more than a four hour trip. I board the plane, and it's like a "who's who" of high tech execs seated there, including a couple of clients. I smile and shake hands pleasantly as I make my way to my seat, but inside I'm thinking, "Crap - I can't mine asteroids in front of these people." I settle into my window seat, resigned to a long, EVE-less flight. I'm not happy. And then Tom Arnold comes aboard, and sits next to me. Yeah, Tom Arnold, the actor - that guy. We exchange nods - he's got a look that says: "I know you know who I am", and he's clearly amused. I figure I'll leave the poor guy alone - he must have people bothering him on planes all the time. We take off and get to cruise altitude. The other passengers in first class keep glancing over in our direction - they clearly recognize my seat row partner, and can't stop looking. I've got my laptop out, looking at boring spreadsheets and wishing I could boot up EVE. Tom is ignoring all the attention, playing some kind of game on his iPhone. "Damn!," he exclaims softly. "I can't get the hang of this." He turns to me, "Ever play games on your phone?" I respond without thinking. "No, but I do play an online game a lot." His face lights up. He's genuinely interested. He's like a kid that's been told about some kind of cool new toy. "Online game? What's that?" I've realized that now I've drawn the attention of the entire first class section. But there's no backing out. I can't be rude to Tom Arnold, Famous Actor - especially not with the entire high tech economy of Silicon Valley watching me. I connect to wi-fi, boot up the EVE client, and show Tom Arnold all about Internet spaceships. I run a quick mission for him. He loves the graphics, and the explosions. "Man, that's too complicated for me, but that is really awesome." The other passengers in first class all smile at me. I've won the approval of Tom Arnold, Famous Actor. I have passed the unspoken test of nominal coolness. 6 jumps to go - one contract left to finish. Since then, I've gotten over my EVE Online shyness. Now I enjoy finding new odd places to play the game. You won't believe where you can get a wi-fi connection these days. I've played EVE in an NFL football stadium, on a beach in the Caribbean, and on the top of a mountain. I'm extremely curious to know how EVE will evolve to become more ubiquitous and even more accessible. I wonder if Jon Lander will unveil anything soon from the mobile application development he's now leading. People like me, who play the game everywhere they can, will be all over it. Perhaps he can get Tom Arnold to be a spokesperson. Docking up - contracts completed. There's another 10 million ISK in the bank. And it's time to land. 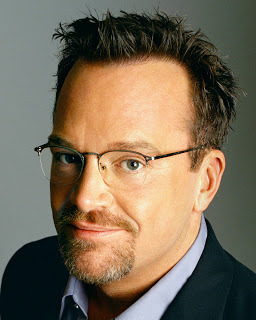 Posted in Why I Love EVE, Commentary and tagged with EVE Online, Tom Arnold. June 26, 2013 by Neville Smit.